Showing results by author "Torsten Abrolat"
Beat insomnia! You have a hard time falling asleep? You have no peace of mind? You toss and turn endlessly? 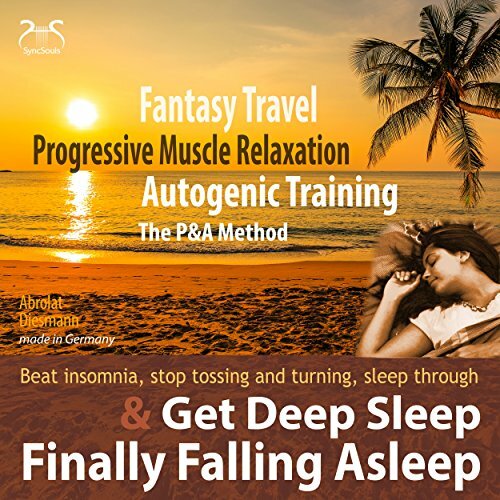 Syncsouls developed "Finally Falling asleep and Get Deep Sleep" (made in Germany) in accord with the formulas of the autogenic training (Developed by the German psychiatrist Johannes Heinrich Schulz) and the progressive muscle relaxation (Developed by the American physician Edmund Jacobson). With this new combination of two approved relaxation techniques and a phantasy travel to a beautiful beach, your body and mind will calm down - self-influenced and step by step. Do you suffer from high blood pressure? 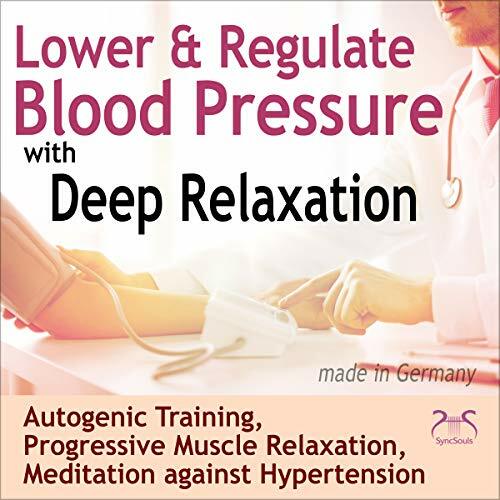 This audio book can help you to lower and regulate your blood pressure. With 3 specific exercises from recognised deep relaxation techniques used in clinics (e.g. in rehabilitation after a heart attack) you will come to calmness and serenity, your pulse calms down. This procedure has a lowering effect on your blood pressure. High blood pressure, hypertension, has become a widespread disease, especially in industrialized countries. Of course, high blood pressure should always be subject to regular personal and medical checks and should be well-medicated. Enjoy the sound of the sea. Betake yourself in your fantasy onto a beautiful sandy beach and listen to the waves, the seagulls and relax. This audiobook lasts one hour and the focus is set on the steady sound of the sea. There is no music playing so let your fantasy loose. 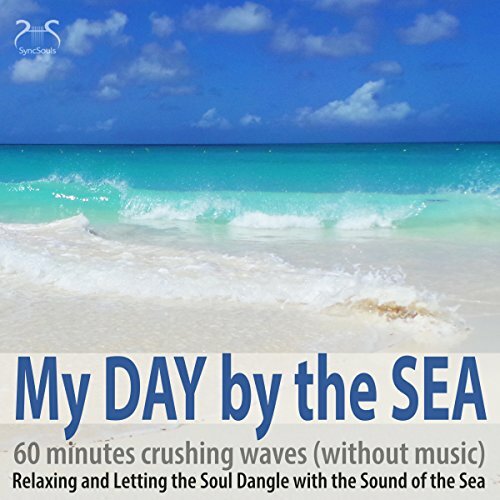 "My Day by the Sea" is also well-suited to be used in wellness areas and while doing Yoga. 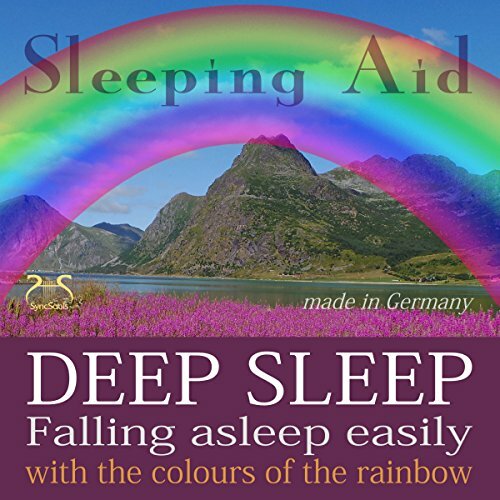 SyncSouls developed the sleeping aid "falling asleep easily with the colours of the rainbow" which calms down thoughts deliberately by using techniques from well-known deep relaxation methods so you can "fall asleep easily". In your fantasy you will see a beautiful rainbow shine over a magnificent landscape before falling asleep and its colours will do you good. Body and soul come to rest before falling asleep. With the soothing voice, the words and the beautiful spheric music you will glide into a pleasant sleep. You are charmed up inside, you often feel restless, anxious or you have a quick temper? With this AudioPille from SyncSouls you can find back to calm and serenity in those moments. To combat Your anxiety a unique combination of ingredients (several relaxation techniques & sounds) is used. Breath relaxed again and get new fresh energy. There are different types of fear: social fears such as fear of failure, fear of the future or fear of heights, wide open spaces, crowds of people. 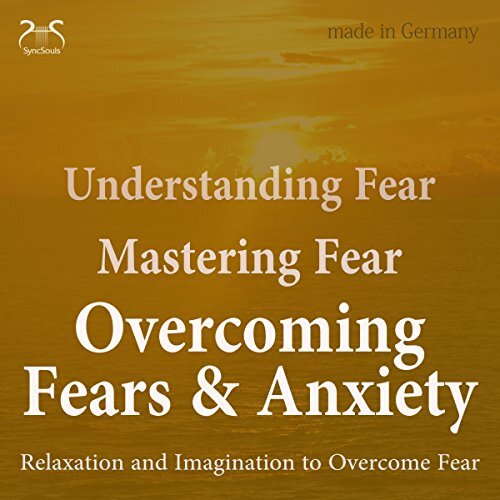 With this audio book you learn to understand your fear and finally to defeat it. Fear is a feeling that is closely linked to our thoughts. When our thoughts, our minds signal fear, it affects our vegetative bodily functions (pulse and blood pressure skyrocket), our feelings and our behaviour. SyncSouls has developed "Overcoming Fears & Anxiety". This is an imaginative procedure with relaxation elements from autogenic training. SyncSouls put together a methodical audio training for advanced person which optimally coaches the advanced formulas of the Autogenic Training step by step. In this audiobook organs and body parts such as the heart, the belly or the pleasant cooling of the forehead are addressed. 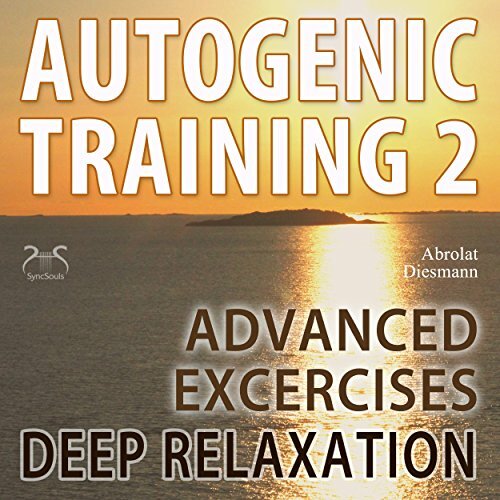 This is the so called advanced level which is based on the basics of the Autogenic Training (see our audiobook "Autogenic Training 1") where the focus was to learn and practice the exercises for relaxation, breathing, heaviness and warmth. Using these basics you proceed in this advanced concentrative self-relaxation technique in three exercises so you can at last affectively apply the short formula. The right tones - frequencies - oscillate with the human body in resonance, put it back into a natural state and have a healing and stimulating effect on it. 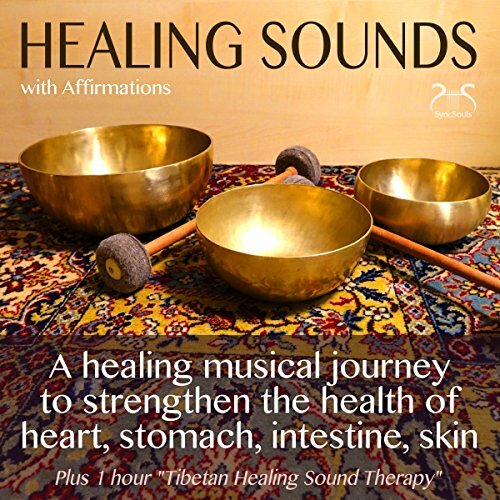 In this 20 minutes lasting body journey, Syncsouls uses Tibetan singing bowls, binaural beats and music in 432 Hz for the strengthening of the organs heart, stomach, intestine and skin. Be guided into resonance and let your body regions regenerate with the accompanying positive affirmations. 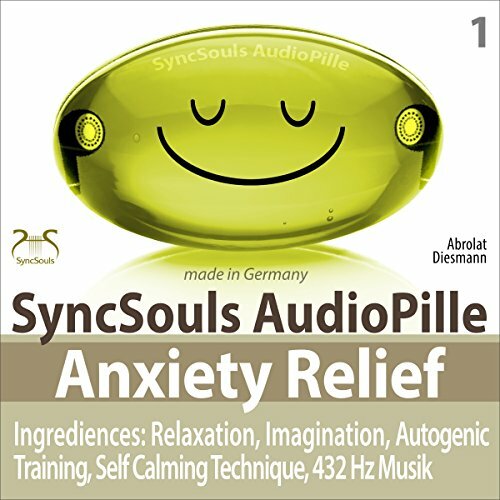 Relax the german way: Syncsouls put together a methodical audio training for beginners which optimally coaches the autogenic training step by step. The aim of this exercises is to make you apply the autogenic training yourself in day to day situations and thus let you gain more balance and a better body perception. The autogenic training (also known as contrantrative self relaxation) is a worldwide established relaxation technique. This is the end of the day!SyncSouls has produced five soothing deep relaxation units especially for the start into the evening, e.g. on your way home. With these audio sequences you quickly switch off from daily events, relax briefly and deeply and get a fresh head for the precious rest of your day - far away from office stress and job. Simply put on your headphones and let yourself be guided into a deep regenerating relaxation for about ten minutes with the help of approved relaxation techniques. 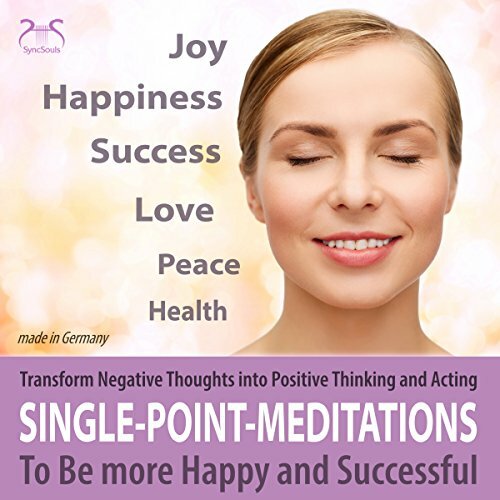 It's a quick and easy way to change your mind.In this audio book you have five different methods at your disposal. 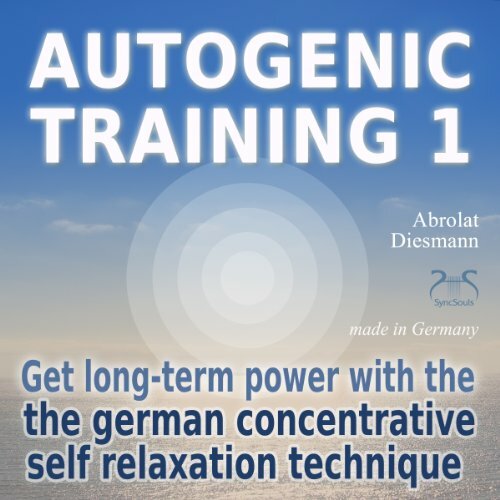 All current and efficient formulas of the autogenic training (made in Germany) for holistic relaxation in 30 minutes. This compact relaxation exercise from SyncSouls is a great everyday companion for applying the autogenic training on a regular basis. It supports getting quickly into a deep and comprehensive relaxation. With the simple and memorable formulas of the Autogenic Training, body regions like arms, legs, stomach and face get into state of deep relaxation, the breathing and the heart rhythm will be stabilized. Furthermore, the focus is calming down of thoughts and a relaxed, deep well-being. Very Good, Very Well Done!! You find no way into sleep? Your body is restless? Your thoughts cycle around constantly after you closed your eyes? 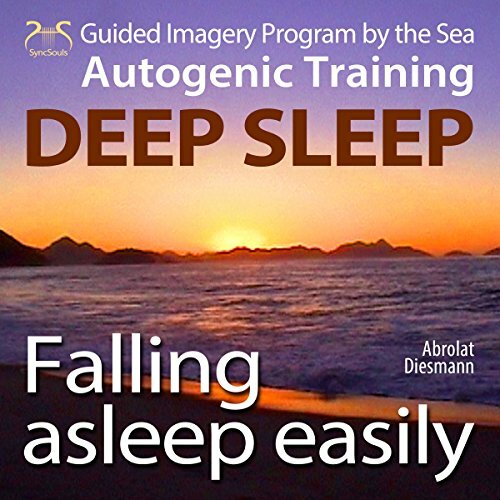 To fall asleep more easily SyncSouls developed a combination of a short guided imagery program - a relaxing picture - and an approved relaxation method - the autogenic training. This audiobook can help you find mental and physical calm and to gently glide into a restful sleep. Gather strength for the demands of the day and start the day in a positive way. Start the day consciously and with a strategy for yourself. Meditation and relaxation can support the beginning of the day and the rest of the day as a strengthening ritual. They give you "power", energy and a positive attitude to deal with the stress of everyday and professional life. Consciously take time to improve your mental and physical strength. Be careful and deliberate in the morning, let SyncSouls accompany you with this "Morning Power Meditation", collect new energy for the day and make the best of it! 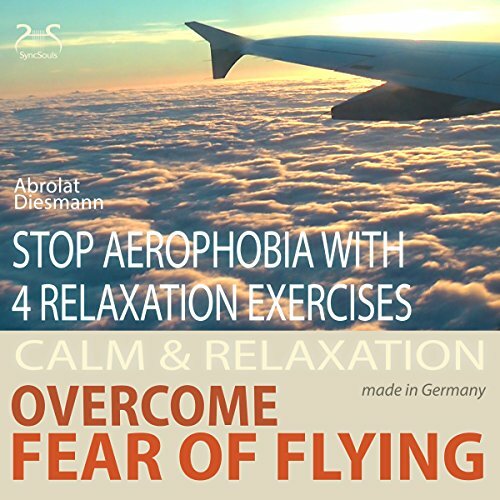 With this audio book you get 4 different modules to overcome your fear of flying, to calm yourself down and to relax. First you practise a relaxation exercise before the flight: With the focus on your breathing and helpful self calming formulas of the autogenic training you easily find into calm and relaxation. In the following 3 exercises your feelings of anxiety on the topic of flying are redirected by mental techniques like imagination and auto-suggestion. These exercises are a guidance to let you find your own way to control the fear of flying and to release it finally. The specially composed relaxation music in 432 Hz additionally calms down your thoughts and your breathing. Take part in an Om-Session: step into the temple of inner happiness, oscillate in resonance, step out into the world calmly and relaxed. Reach a state of deep relaxation through the vibrations of your own voice and the opening of your resonance space in your chest. Actually it is quite simple: to compose yourself again, to ground yourself again - you only need your voice and your own - yourself concerning - Mantra. Thinking is changing the structure of our brain: Why do we find situations often as unpleasant? Neurologists say we get into a downwards spiral through repeat loops and train our brain to perceive situations from beginning on as negative. That can lead to the point to experience situations in the future even more unpleasant and burdened by anxiety than they actually are. On the basis of this research there is a positive finding: We can condition our brain in return positively. Freely translated Zen stands for "State of meditative contemplation". With formulas of the autosuggestion (derived from the principle of the Autogenic Training) this new sleeping aid from SyncSouls brings about a state of calm, serenity and meditative contemplation which is aimed at letting the day go and engaging in sleep. Hereby the focus is set on letting the day go with its experiences and thoughts. Preventing aches and pains caused by working with display screen equipment. The upper area of the shoulders and neck is mostly subjected to an unhealthy tensed posture. Thereby it is important to take small breaks in front of the screen more often and to do a couple of loosening exercises preventing permanent muscular indurations in this area. 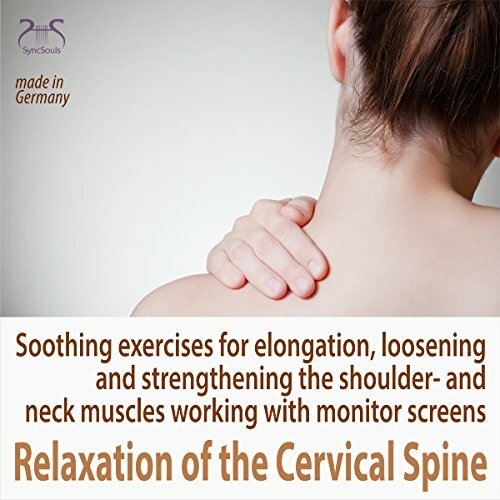 Syncsouls put together some short and effective relaxation- and loosening exercises - and also strengthening exercises for the shoulder and neck muscles. Prevent short-sightedness - stop getting more short-sighted! Simply "switch off" and "readjust" from time to time for a few minutes. Today using a smartphone or working on a monitor screen is a day to day process and strains our eyes much more than work processes back in times. The eyes get worked very hard while being focussed on the screen or on a smartphone for hours and the eye muscles are very tensed. To prevent overexertion and a degradation of sight SyncSouls recommend some exercises for relaxation of the eyes and the eye muscles. You find no way into sleep? Your body is restless? Your thoughts circle around constantly after you closed your eyes? 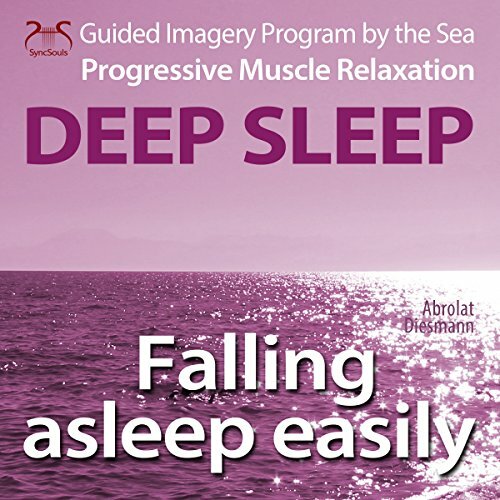 To fall asleep more easily SyncSouls developed a combination of a short guided imagery program - a relaxing picture - and an approved relaxation method - the progressive muscle relaxation. 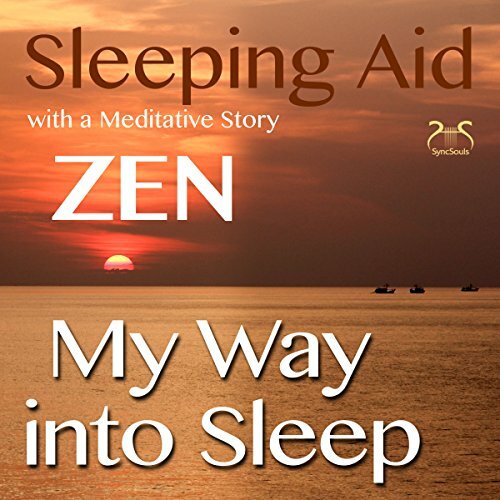 This audiobook can help you find mental and physical calm and to gently glide into a restful sleep.